Now accepting reservations for 2017!!! 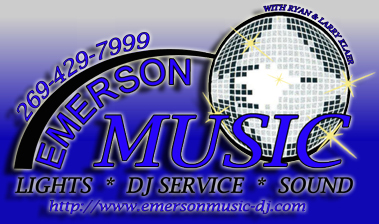 Emerson Music is a locally owned mobile DJ service, in the heart of Southwest Michigan. We would like to take this opportunity to tell you about what you can expect with Emerson Music owned and operated by Larry Klaer. 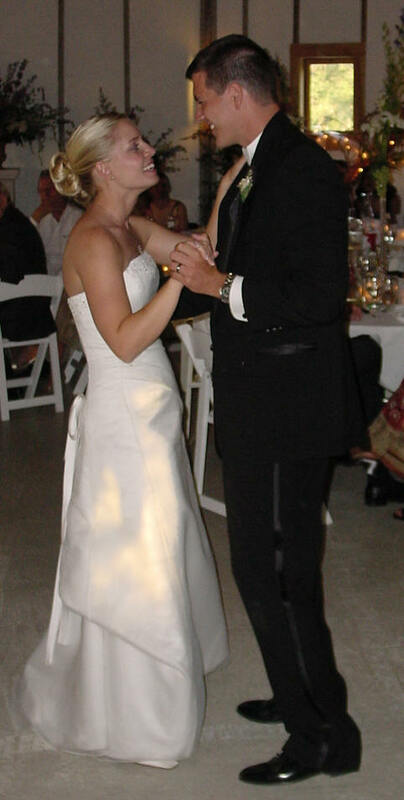 For 25 years prior to the formation of Emerson Music, Larry played live in wedding reception bands. Larry brings many years of experience with keeping the dance floor full, while ensuring there is something played for everyone with his music management. 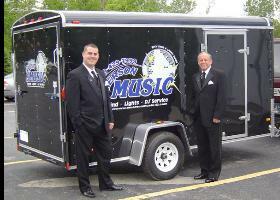 With Larry's vast amount of experience it will allow Emerson Music to give you a worry free reception. 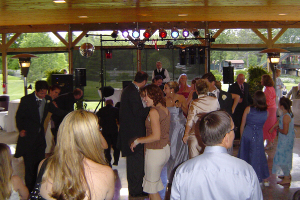 Sound System is of the ultimate quality and clarity for an enjoyable evening of listening and dancing. The volume of the music is always under your control. A backup system of the same quality output is available on sight so your event will not be interrupted. Wireless Microphone availability allows announcements, toasts, etc. to be given anywhere in the banquet/reception areas. Light Show options consists of two mirror balls, eight color flood lights (computer controlled), two spinning lights and three smart lights that create dazzling effects with endless combinations of color and patterns that change to the beat of the music. 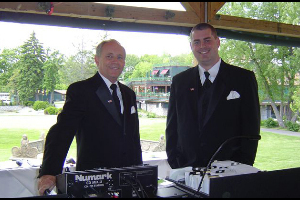 We also bring two DJs to each event to ensure everything runs smoothly. We take a very personal interest in you, and what your individual needs are. Your goals, ideas, and feelings are listened to very carefully. You are assured that you will always receive the prompt, courteous, professional attention you deserve. As soon as possible, a meeting will be held to plan the entire evening with the date, time, type of event and specific requirements you desire. Approximately two weeks prior to the event, a meeting will be held to confirm details and for any changes you want to make. Remember…. We want you to relax and enjoy your own event. You tell us ahead of time what you want and Emerson Music will be there to fulfill the plans you made. Emerson Music is fully insured with Fireman’s Fund and also has a liability insurance policy. Competitively Priced… Non refundable deposit required to hold date. Click here to request more information. The Bride & Groom’s picture is taken with their permission and placed on our website after the reception for out of town friends & family to view the newlyweds. Click here to go there. We will coordinate and work closely with your photographer, videographer, caterer, reception hall manager, and anyone else to ensure that your event runs smoothly. This is your event and you deserve the BEST!!!! Thanks again for considering EMERSON MUSIC and we look forward to hearing from you!